It has been a busy couple of months at St Luke’s. 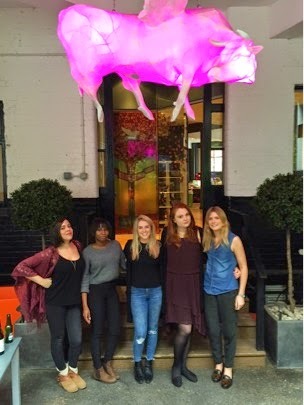 We’ve welcomed five new lovely people into the fold over the past few weeks: 2 planners (Hannah and Rachel), a creative team (Laura and Claire) and a new intern (Mary). While they're settling in at their new desks, we thought we'd probe a bit and get the obligatory group photo! Claire and Laura: Grey Possible. Mary: Temporarily working at KitCattNohr. Hannah: RKCR/Y&R as a planner working on Danone and Land Rover. What creative work has got your attention at the moment? Mary: Carlsberg spoof of the ‘beach body ad’. I thought it was well executed- even made me smile. Claire: Creative pre rolls from GEICO. Hannah: Uber Rush, where they’re planning on getting drivers to multitask their regular taxi service with same-day goods deliveries at no extra charge. Will be interesting to see if and how it works but it’s a genius idea to grow their service and undercut competitors. Rachel: I’m loving the ‘this girl can’ campaign for Sport England- they hit exactly the right tone, inclusive and inspiring, makes me want to get my running shoes on! Laura: I once sang for the Queen in a choir when I was 10. Claire: I’m a descendant from a Victorian circus family. Mary: I like trying to fit into small spaces. Personal best is a washing machine, the kind you find in launderette. Hannah: I wish I was more gangsta. I used to have a bad habit of shaving a slit in my eyebrow when I got drunk and can rap all the words to Jay Z and Lil Wayne – A Billie. Rachel: I like hula hooping... will that do? With wet weather forecast for this bank holiday weekend, here at St Luke’s we really #cantwaitforsummer. So to help ease the anticipation, this week we launched our Summer Fantasy Generator for Very! Built for Facebook, the content gives you the chance to win your perfect summer holiday, by spinning and sharing your favourite scenario with friends. The social activity was developed by St Luke’s to support our “#cantwaitforsummer” campaign for Very, with our latest 20" TV ad also going live last week. 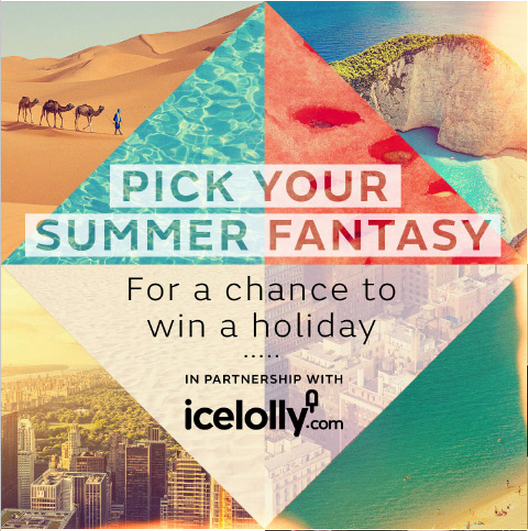 Play the game to have a chance of winning your fantasy holiday – it should make the wait a little easier! The work life balance is one that is often difficult to get right, especially in an industry of tight deadlines, pitches and the ‘always-on’ mindset that we have in advertising. The value in a well-rounded person should never be underestimated and St Luke's has remarkably valued this for around 20 years. People have done all manner of things such as nutritionist courses, learned to salsa or taken swimming lessons. 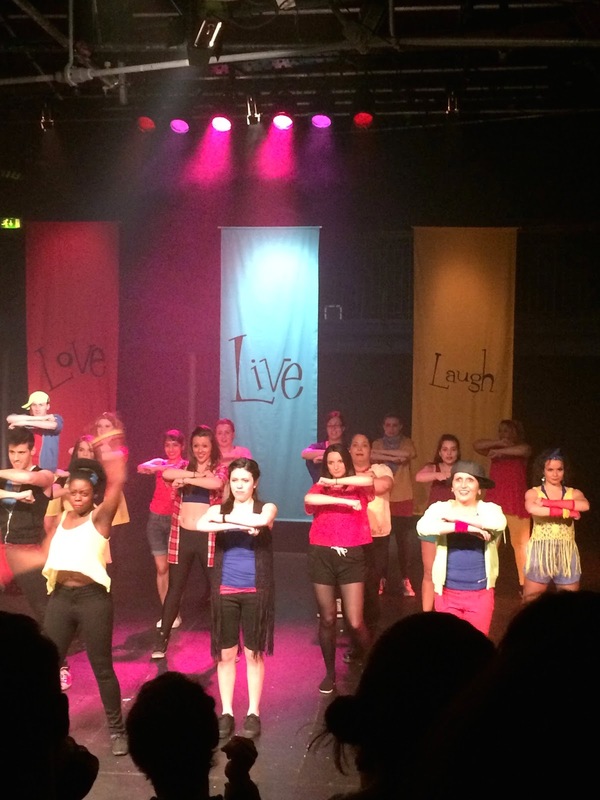 I’d been toying around with the idea of doing a few different things with my fund this year, until over Christmas I realised that I was now as an adult craving a hobby that I spent most of my teenage years enjoying – performing arts. 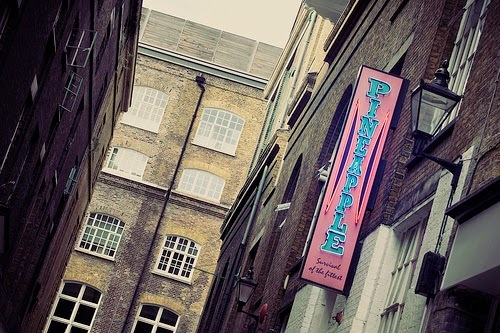 I set about researching immediately, and on Jan 2nd I signed myself up to a 12 week course for adults at Pineapple Performing Arts School – held for 3-4 hours every Sunday at the legendary Pineapple Dance Studios in Covent Garden. Gulp. After the first session I was beaming with excitement and the next day came bounding in to work, still buzzing off the adrenaline. The singing teachers had been in the original casts of Wicked, Billy Elliot, The Lion King and Mamma Mia. 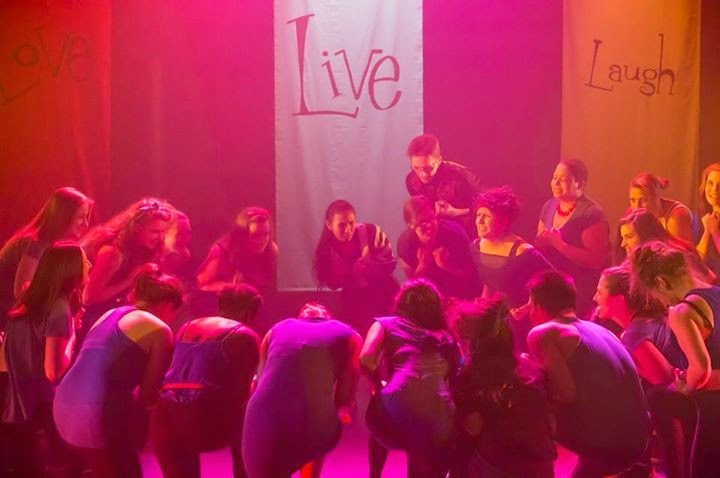 Drama was led by a pair of actor/directors, and dance classes were taught by performers at the top of their games in Street, Hip Hop, House and Musical Theatre. I was in awe of their talent, and it was overwhelming and terrifying to think that in 3 months time I’d be on a London stage, performing a showcase of pieces that we would learn over the 12 weeks. When show weekend arrived I felt sick with nerves, and was glad I only had a few select friends coming to watch the 2 shows we were performing on the Sunday. Having a singing solo and a drama duologue, as well as numerous group numbers, made the personal pressure feel heightened, but in the end these were some of the standout memories where I felt I thrived most. The feeling of the adrenaline rush after both performances and seeing my friends' grinning faces in the audience is one I have tried to bottle. The whole experience reminded me that you should never feel like you’re too old, too busy or too tired to throw yourself into doing something you find nerve-wracking or challenging. The buzz is amazing, and sometimes you just need reminding of that. Even if it’s not something you find daunting, it’s a sterling reminder that we should all make time for hobbies. And when an agency like St Luke’s will freely offer you money to learn to do whatever you like, you should grab the opportunity with both hands! CAN’T WAIT FOR SUMMER? THEN DON’T! Having come back to the office after the long four-day Easter weekend, summer is definitely in sight. 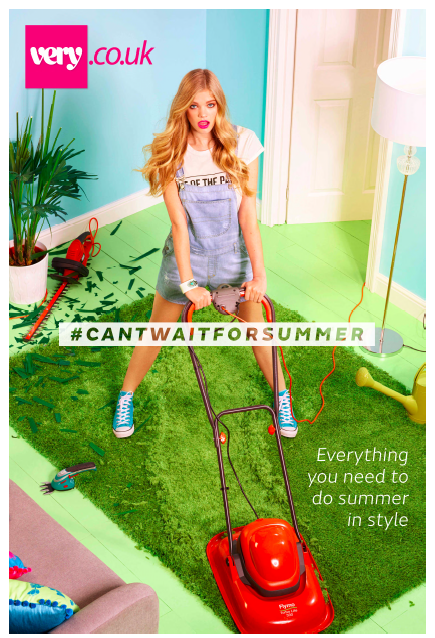 And what better way to celebrate, than with the launch of the new “#cantwaitforsummer” campaign for Very. Centered around the anticipation of summer and the ideal, relaxing, carefree life it brings, the campaign shows that with a bit of imagination and products from Very, you can create your perfect summer whenever and wherever you are. The campaign launches with a 40” TV ad featuring Fearne Cotton and Rochelle Humes and is supported by a 20” TV ad, print, interactive digital banners, and bespoke social creative. So go on, it may only be April but put on those sunnies, listen to your favourite summer playlist and join the conversation – what can’t you wait for this summer? Our debut campaign for Mecca Bingo launched at the end of March, following our pitch win back in November. The new campaign, entitled ‘Friends that play together, stay together’, positions Mecca Bingo as an authentic gaming brand with a big heart, bringing friends old and new together for a fun, relaxed time. The campaign features 2 sets of creative, each with 30", 20" and 10" spots and is set within an animated world where a group of four busy friends come together through Mecca Bingo. The campaign shows that friends can enjoy a fun relaxed game of bingo and connect with each other socially, either online or in one of the many Mecca Bingo Clubs. is now officially known as Dabber! 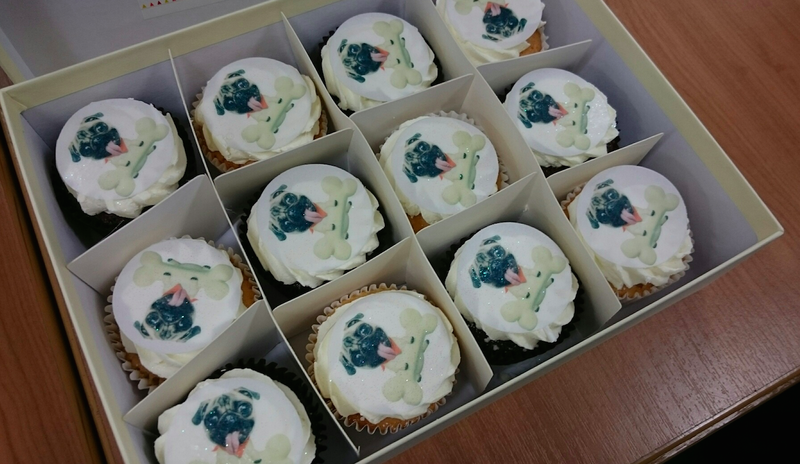 And to celebrate the launch, we sent the client and the rest of the agency a set of customised pug cupcakes. Delicious. The campaign was picked up in the Creative Showcase for The Drum, and initial results have seen it working extremely well for the brand. 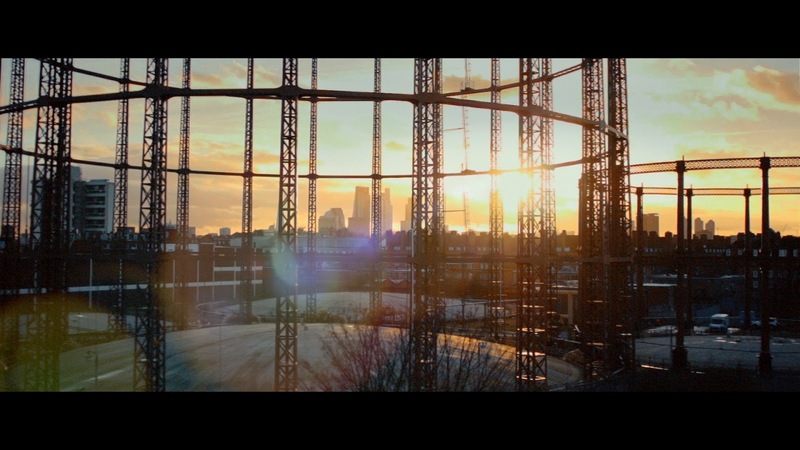 The second of the films launches in May. Let us know what you think @stlukescomms. Today, we launch the new integrated campaign for Sunny.co.uk. It’s our first above the line campaign for the brand since we won the account mid-2014. It goes by the name of ‘New Dawn’ and we’re excited for it to finally be revealed. The first brand TV spot goes live after Emmerdale tonight, on ITV, between 7.25 and 7.30pm. It’s fair to say we’ve come up against a few obstacles throughout the development of this campaign - but this is to be expected when you count Wonga in your competitive set, and the industry itself is in the midst of upheaval and regulation from the FCA ensuring that all lenders adhere to strict, new rules to ensure consumers don’t find themselves in serious financial difficulties. The fortunate thing was, Sunny’s product already adhered to most of these regulations, so the introduction of the rate cap meant the business would be one of the very small proportion of lenders who could still survive. The resolve from the client and the St Luke’s team has been hardy, and we have created a set of ads that we are proud of, and believe stand up strong in setting a new agenda in the short-term credit industry. The campaign launches our line ‘Tomorrow will be Sunny’ and positions Sunny as a stepping-stone to a brighter financial future. The TV ads feature a launch ‘Manifesto’ ad to introduce the brand, and two further spots showing how a Sunny loan can help their customers overcome common challenges in every day life, such as Nick and Zoe who are a young couple moving house and Ben, a market trader running his own business. 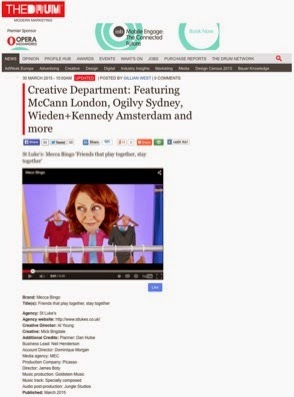 The ads were all shot on location, and the stories are based on insight from research. 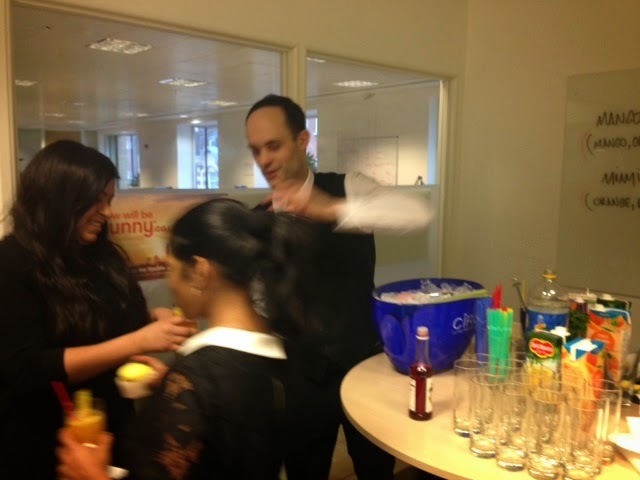 To launch the campaign internally at the client’s offices today we organised barmen to go over to their 2 sites and make juicy Sunny mocktails, and sent some delicious branded cupcakes to go with them. Looks like a lot of fun! Hope there are some leftovers…!